Little Lewdon, our holiday cottage is available for holidays and short breaks throughout the year. 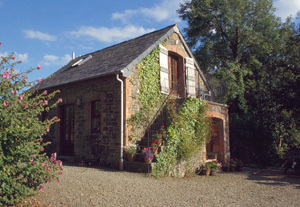 Converted from a small Victorian barn to cosy self-catering accommodation, the cottage nestles, three miles from the sea, in the head of the river Neet valley near Bude. * Quiet and secluded yet close to beaches and amenities.